Fred Smith, Sr. was known as a man of wisdom and principle-centered thinking. His career spanned 65 years of executive positions with General Shoe Corporation, William Powell Valve, and Gruen Watch. As President of Fred Smith Associates, a management consulting firm, his clients included GENESCO, Mobil Oil, Caterpillar, Campbell-Taggart, Jefferson Standard Life Insurance Company, and the Taft law firm, among many others. He served on boards for business, Christian organizations, and governmental task forces including S.H.Kress, Eaton International, Christianity Today, International, Youth for Christ, KeyLife Network, Turner Foundation, RREACH, Bill Glass ministries, Christian Men, Inc., and Hope for the Heart. His lifetime friends included evangelist Billy Graham among many other business and ministry leaders. He was known as mentor and friend to men such as Zig Ziglar, Ramesh Richard, Steve Brown, and Ken Blanchard. His influence through speaking, mentoring, writing, and consulting impacted men and women worldwide. As an inaugural contributor to Leadership Journal, he mentored a generation of pastors and ministry leaders — and continues to do so through his archived writings. His books continue to direct leadership thinking. John Maxwell considers Learning to Lead one of the finest books on the subject. His fourth book, Breakfast with Fred was released on September 4, 2007. 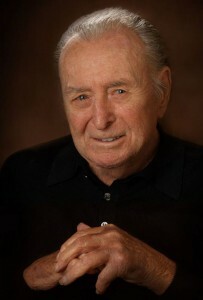 In his late 80s he continued mentoring through www.breakfastwithfred.com, reaching an international audience. The recipient of hundreds of achievement awards and honors, he was recognized for his contributions to business and ministry. In 2007, Christianity Today, International established the Fred Smith Leadership Award, given to an individual who exemplifies the combination of business acumen and active Christian faith. He and Mary Alice were married for 67 years before her death in 2004. They were the parents of three adult children, six grandchildren, and six great-grandchildren. At the age of 92, Fred passed away on August 17, 2007. Fred Smith, Sr. was known as a man of great integrity, strength, insight, and thought. This website is his legacy for leaders who follow behind, wanting to be men and women of wisdom.